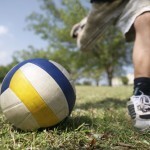 Soccer is one of the most popular sports in the world, whether played professionally or just for fun. 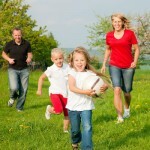 But are there benefits your children can derive from the game, beyond simple exercise? In fact, soccer provides a large number of life lessons for its players, six of which are outlined below. The World Wide Web has opened a world of understanding and knowledge to children, but fear has many parents holding that globe above the reach of little hands. You can create a safe path through that world using the tools of education, communication, and vigilance. © 2013 7 Magic Islands.